Ear surgery, also known as otoplasty, is surgical procedure to correct ear deformities or ear malformations by improving the shape, size, positioning, and/or functionality of the ears. Otoplasty is typically utilized to repair congenital (present at birth) cosmetic defects of ear deformities and ear malformations caused by disease or injury. Dr. Steve Byrd, known locally as “the ear doctor”, is a dual board certified plastic surgeon who routinely performs cosmetic otoplasty on both children and adults. Ear surgery is usually recommended to be performed at approximately age 5 or older, when cartilage is stable and the ears have reached their full size. Many of these ear deformities can also be corrected non-surgically with an innovative ear molding technique co-invented by Dr. Byrd called Earwell™ Infant Ear Correction System. 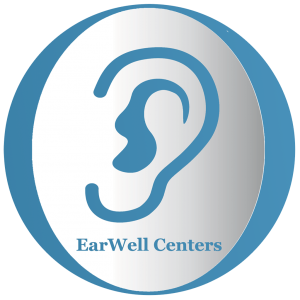 If detected and treated within the first two weeks of life, ear deformities can be effectively corrected with the Earwell™ ear molding system with greater than a 90% success rate. What is the Ear Surgery (Otoplasty) Procedure? Prior to otoplasty, Dr. Byrd will meet with you to examine your or your child’s ears, as well as discuss your options and expectations for ear surgery. Measurements will be taken and Dr. Byrd will explain the otoplasty procedure. Internal sutures may be used to maintain proper ear position, and external stitches will be used to close any incisions. You will have several follow-up appointments after otoplasty to monitor healing, as well as remove any non-dissolvable sutures. It is normal for the ears to have some bruising or swelling, and this will dissipate within a couple of weeks. Your doctor will advise you on when to resume normal activities, such as bathing and sports. When your bandages are removed, you should notice an improvement in your ears immediately. If you have any concerns or questions during recovery, please do not hesitate to contact our office.